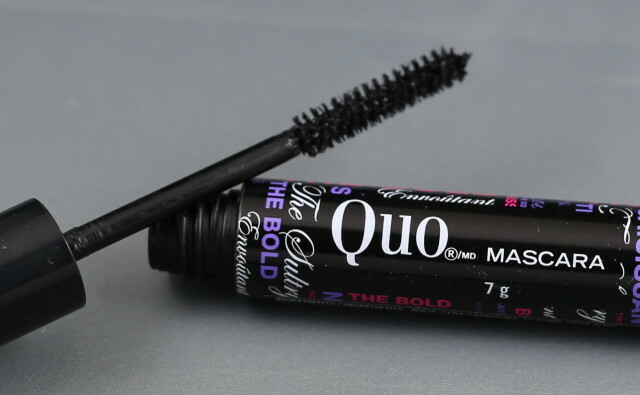 Quo The Bold, The Curved, The Sultry Mascara - $12 - an intense black mascara that volumizes, lengthens and defines your natural lashes. The formula is on the drier side which I like - I find it easier to apply it without making a mess. I agree with the lengthening and defining but I didn't find that it added a lot of volume - considering the small brush size I'm not surprised. The formula also adds a bit of a curl and no clumps so this one is a winner for me! I have to say I am not really impressed with the results! They are so many ah-mazing mascaras out there (They're Real by Benefit is one of my fav)! I have passed by the Quo stand so many times and still haven't bought anything from them.. Do they have other great products?